After a few let’s-get-REAL-real moments with God a little over a year ago, I knew my lifestyle was in for some major changes. The most logical place to begin was in the disposable department. My goal was to cut out all single-use items from my life, starting first with disposable table settings and continuously work toward a zero-waste lifestyle. It will be simple, I thought. It’s not like I keep disposables in the house anyway. I’ll just keep a spare table setting with me while I am out and avoid trash-y restaurants. It’ll be fine. Oh, baby, ain’t nothing that easy. My husband Aaron and I did well in certain areas. We kept a second-hand picnic kit in the car so that we were always equipped with plates and such. Who wants to be caught without a way to receive food?! We carried homebrewed coffee in reusable travel mugs, a la Wanda Urbanska. This was a money-saver, too. Holler! Folks at our favorite restaurants got used to our “No straws, thank you!” and “Nah, I’ve got my own to-go container.” Sometimes they even thanked us for our environmental efforts. Here’s to YOU, Farmburger, Decatur! 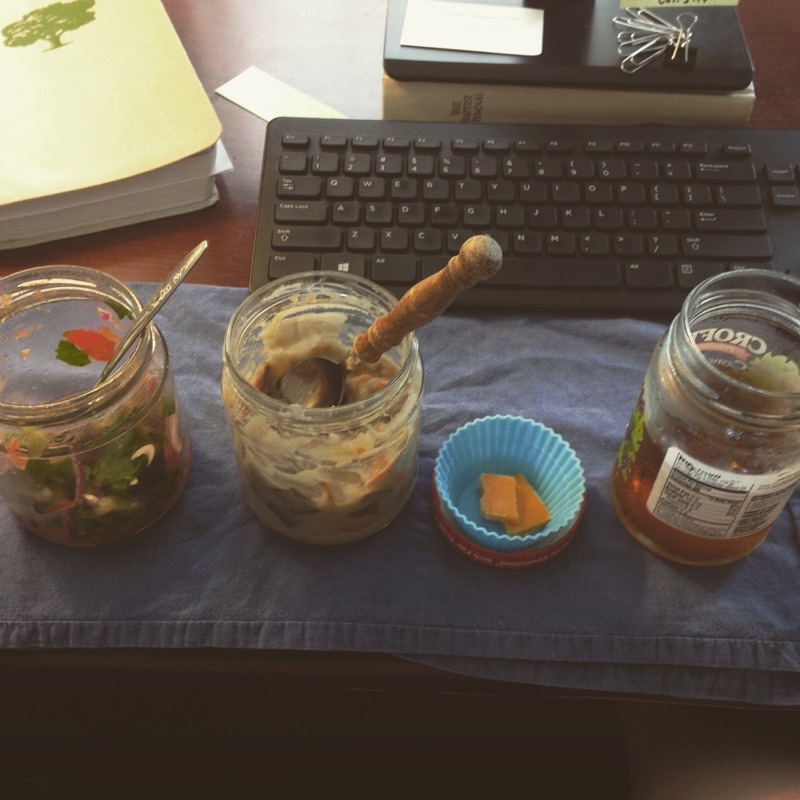 I began feeling satisfied with my #deskfeasts. And I got pretty good at planning ahead in order to avoid making trash when traveling. But other areas proved more difficult. Beyond the natural draw of convenience that I most certainly succumbed to more times than I care to recount, my main downfall was eating in community. You see, I am Baptist. Some of you may not know this, but we Baptists don’t call it quits til we’ve eaten. 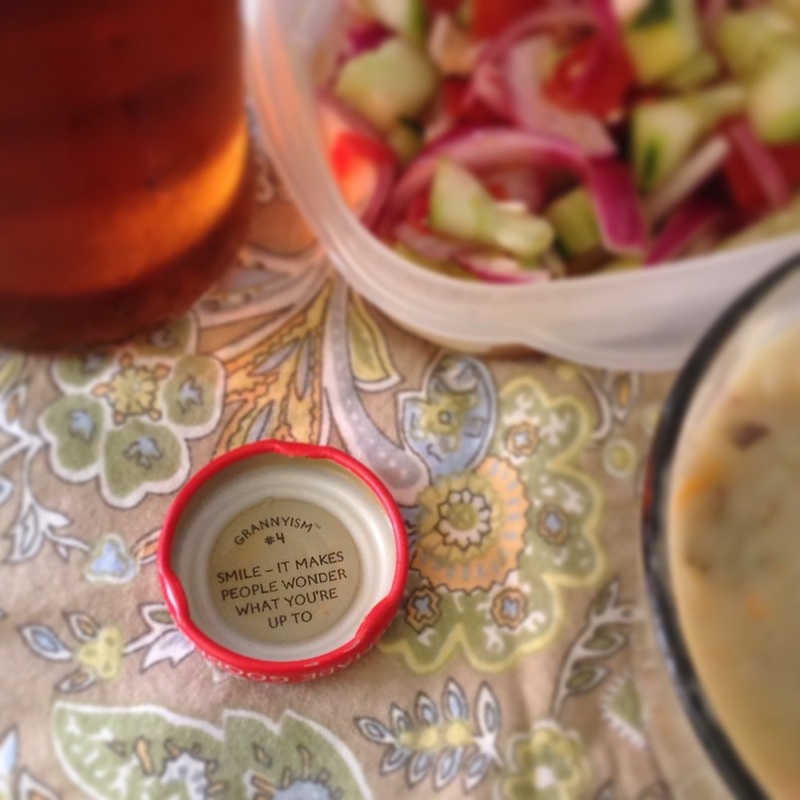 Coverdish dinners—that’s church-talk for “potluck”—are literally our bread and butter and the sticky stuff that holds us together (quite literally at pancake breakfasts). I love sharing the Lord's Table and the buffet table with my sisters and brothers. However, when folks see 200+ plates stacked up for the washing…Well, evidently it was either switch to disposable or stop eating. You see my problem, I know. Two very important aspects of my identity were staring each other down. Do I simply go with the flow and take the Styrofoam plate and plastic fork? Chalk it up to receiving another’s hospitality? Could I really do that, though, after God’s clear and gracious direction—and IN CHURCH, no less?! I knew what I had to do—what I have to do—and it was a little scary. I worried that people will think I am rude, showy, ungrateful, or stuck up. I worried about placing stumbling blocks before others during a time that is meant for bonding and mutual edification. But then, I thought, where else does change happen? Where else does inspiration take root and grow into something real and lasting? Community, that’s where. I am the Crazy Plate Lady. Truly. I was christened and everything (but that's a whole other blog post). If you want to love Jesus, guard creation, and party with the Body, you can be a Crazy Plate Lady too. 1, Find yourself some inconspicuous plateware. OR you can do what I did and grab the loudest, reddest, most UN-Styrofoam plates you can find. Go big or go home, right? I kid. We normally use these red plates because they are indestructible. And cute. 2. Wrap those plates and the appropriate utensils in cloth napkins. Yep, just tie those corners together Huckleberry Finn style. 5. ANd go get you some fried chicken, honey! I will meet you there in the serving line. Our plates will clang in joyful solidarity over the rustle and squeak of Styrofoam. May our weirdness be redemptive. And may the Plate Lady live on. Do you Crazy Plate Lady? How do you balance God's call to keep the earth with courtesy in community? I'd love any advice--or stories--you would like to share!